Wear your love of Pokemon with this beautiful piece of jewelry! 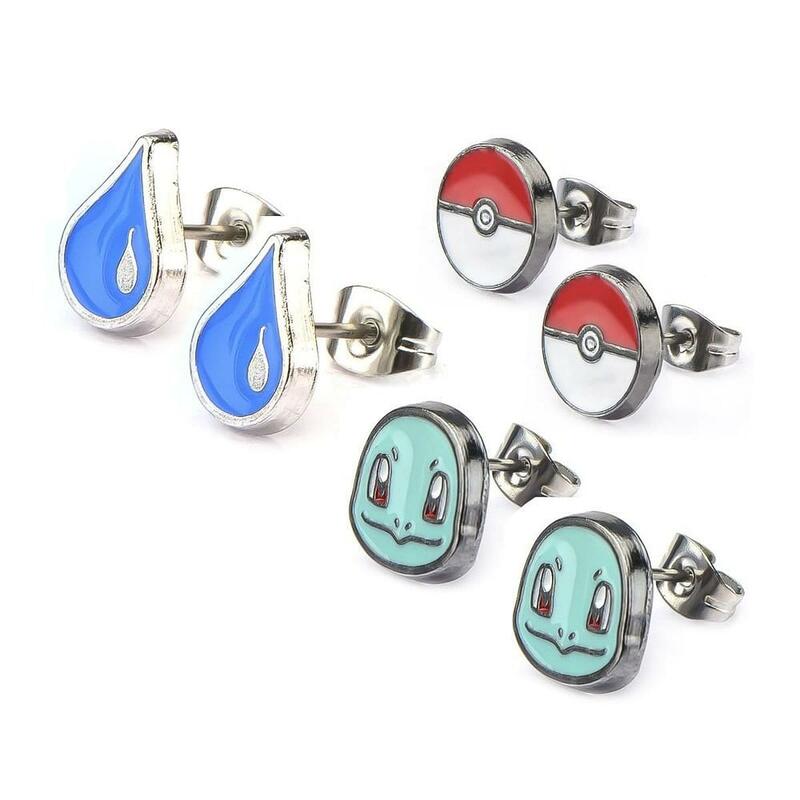 Made out of durable stainless steel, this attractive set of three (3) enamel stud earrings features Squirtle's smiling face, Water Drops and Pokeballs! Official licensed Pokemon Merchandise. Wear your love of Pokemon with this beautiful piece of jewelry! Made out of durable stainless steel. 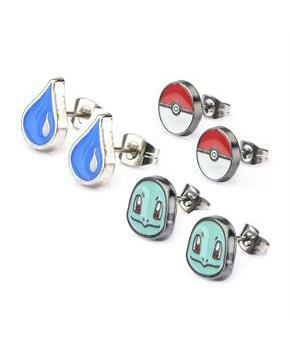 Attractive set of stud earrings features Squirtle's smiling face, Water Drops and Pokeballs! Set includes three (3) pairs of enamel stud earrings.